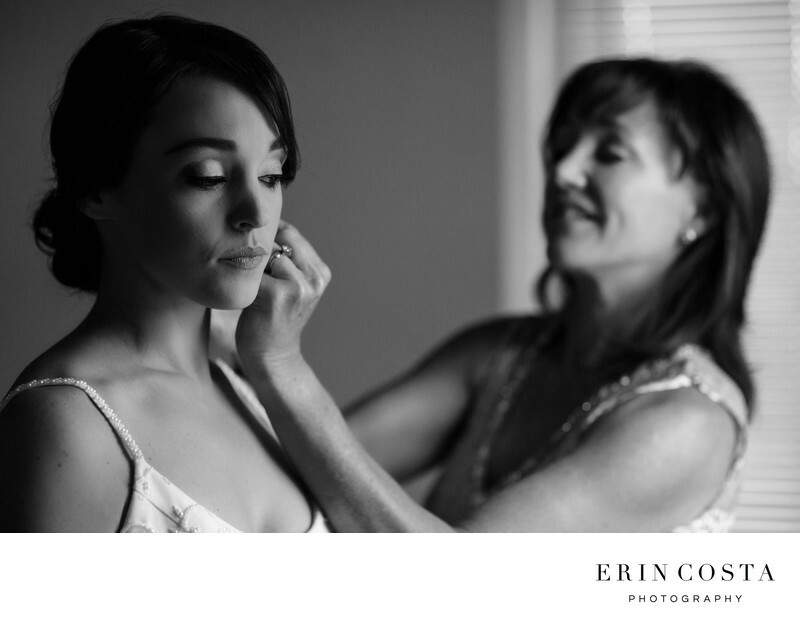 It's no secret that one of our favorite times of the wedding day to photograph is while our beautiful brides are getting ready. Preston and her bridesmaids got ready at the Hilton Wilmington Riverside in a beautiful suite overlooking the river. The gorgeous light coming in from over the Cape Fear river perfectly highlights Preston, while her mom puts her earrings on for her. The Hilton is a great location for bridal parties to get ready at since it is just a few minutes from several downtown wedding venues. Add in beautiful views of the Cape Fear River and it's perfection!